Tickets are $30 at the door. Revel in the deep bhakti bliss of an intimate kirtan evening with a pioneer of world devotional music. The magically mellifluous acoustic guitar stylings and resonant vocals of GuruGanesha are the focal point of his newly formed ensemble, which also features his longtime collaborators, master musicians Sat Kartar Singh (acoustic guitar, vocals), Gurusangat Singh (bass, nylon string guitar, vocals), and world music multi-percussionist Tripp Dudley on tabla and cajon. The group creates loving, meditative music that immerses listeners in waves of healing sound currents, inviting them to join in the joyous exchange of call-and-response chanting. 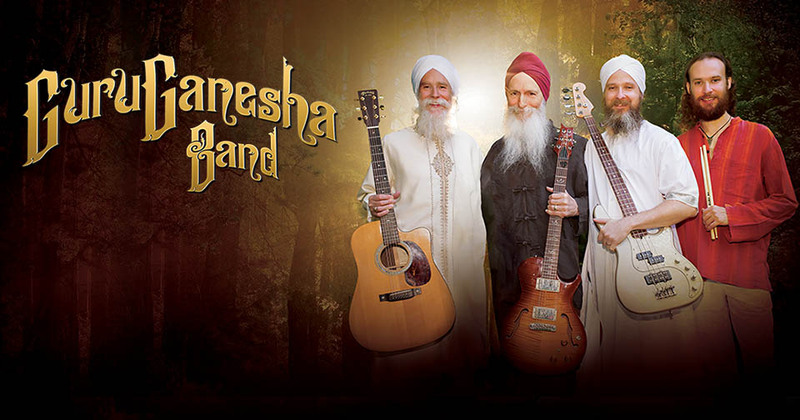 With supple instrumental interplay and glorious three-part vocal harmony, the trio brings a vibrant new approach to the age-old art of kirtan, singing mantras and divine poetry drawn from the Kundalini Yoga tradition, to transport audiences to a profoundly beautiful and transcendent place.